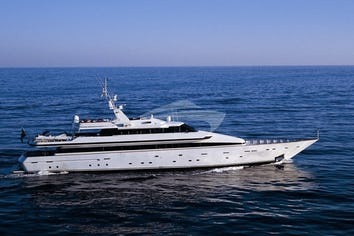 SOIREE had her Naval Architecture carried out by ISA Yachts and her exterior yacht design was by Andrea Vallicelli (who created the striking and contemporary look on this ISA 120 yacht). 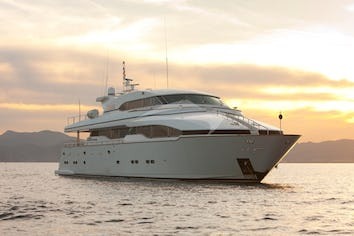 Comfortable, luxurious and with a stylish interior, M/Y SOIREE also provides zero speed stabilisers for overall increased comfort and stability. 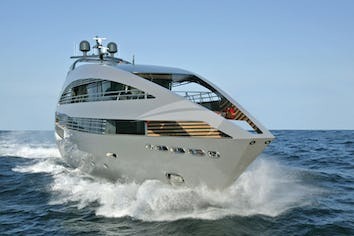 She has triple water jets, powered by three MTU 12V 2000 M91 diesel engines giving a total horse power of 6,000. This power, together with her light composite planning hull means she can can reach top performance speeds of around 34 knots and cruising speeds of around 28 knots.